Alice Cooper said it best in his song “Elected” — “I’m your top prime cut of meat, I’m your choice, I want to be elected.” It’s official! The writ has been dropped and Apr. 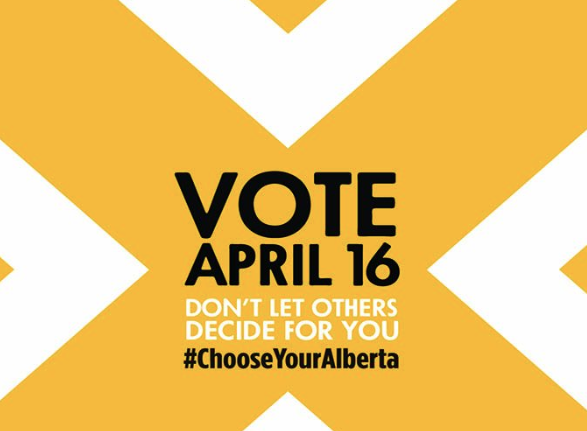 16 is Voting Day across the province. Do your part and get out and vote! There’s the NDP, UCP, Liberals, the Alberta Party and the Freedom Conservative Party and those running under those banners at the top level have noted they will be releasing their platforms soon. Advance Poll Days are April 9-13. Eligibility — To be eligible to vote, you must be: a Canadian citizen; at least 18 years of age on Election Day; and ordinarily a resident in Alberta. Westwind Weekly News will be your local provincial election connection.